B-29!' No other term struck such terror in the hearts of the Japanese public during World War 2 than this single, most-hated name. It was then only natural that the pilots who attempted to shoot these high-flying Boeing bombers out of the skies over Tokyo, Nagasaki, Hiroshima and Kobe should become known as the elite of the Japanese Army Air Force. 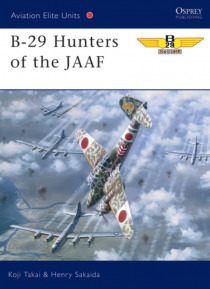 This book details the exploits of the 'Dragon Sla… yers' who, flying the very latest singleand twin-engined fighters, exacted a heavy toll on the AAF Boeing bombers using a range of tactics including ramming.